There is an interesting bit of astronomy published over at PhysOrg.com sent to me by way of Danny Hillis and Tom Shannon. 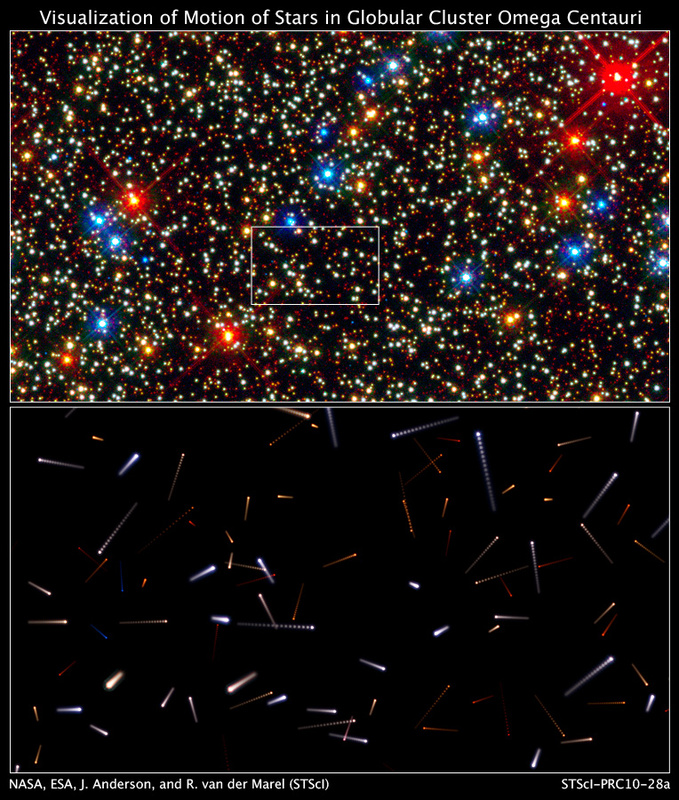 Apparently astronomers focused Hubble on a certain region of Globular Cluster Omega Cantauri several times over 4 years. They were then able to calculate how each of those stars will move in the next 10,000 years. You can see a video of this after the jump on their site here. It reminds me of our recent blog piece on how the constellations will change over the next 50,000 years. All of this is of interest to us on the Clock project as one of the main references we use is an image of the night sky for one of our slowest moving dials. We have to choose stars that do not move very much over the next 10,000 years to use as a good reference in the 26,000 year precessional cycle.